Tips & Tricks To Nail The First Party After The Wedding! So now that the wedding fervour has settled, it’s time for you to pamper all those people who showered so much love on you two! As newlyweds, people can be under a lot of pressure to host the perfect party. Well, that’s where we step in - to help you host the most awesome party ever! With just a few simple tricks you can fool your guests into thinking that you’re a pro at this (except maybe those who have spent the better part of their lives with you). Being a host is also about being friendly and warm, while making the other arrangements! So keep that smile on, follow these tips and you will a party that people won’t stop talking about! Although it doesn’t hurt to try out new things, it’s always a safe bet to stick to recipes that you have actually tried before! It maybe a simple one, but what makes it special is that you made it. And there are always many ways to amp up a recipe by a notch! May sound like an easy one but preparing the meal the night before or in the morning saves a lot of time! Time that you can spend with your loved ones. Your party won’t be the same if you are toiling away in the kitchen when the guests arrive. We know every fancy party has some delicious cocktails and you wouldn’t want to miss out. What if we told you that cocktails can be made with even two ingredients? Try simple recipes like Planter’s Punch or Screwdriver and your party will be equally awesome! And with friends and family, they may just end up chugging those beers! We are not saying blast off loud music but having background music always helps! Choose soothing music and set a playlist and let it play while people mingle. It fills in awkward silence, makes for great conversation starter and sets the mood for the party. Always Have Options - Food and Drinks! While it’s okay to stick to a few starters and one main dish, always have options. Keep your friends’ preferences in mind and serve non-alcoholic drinks and vegetarian starters if needed. 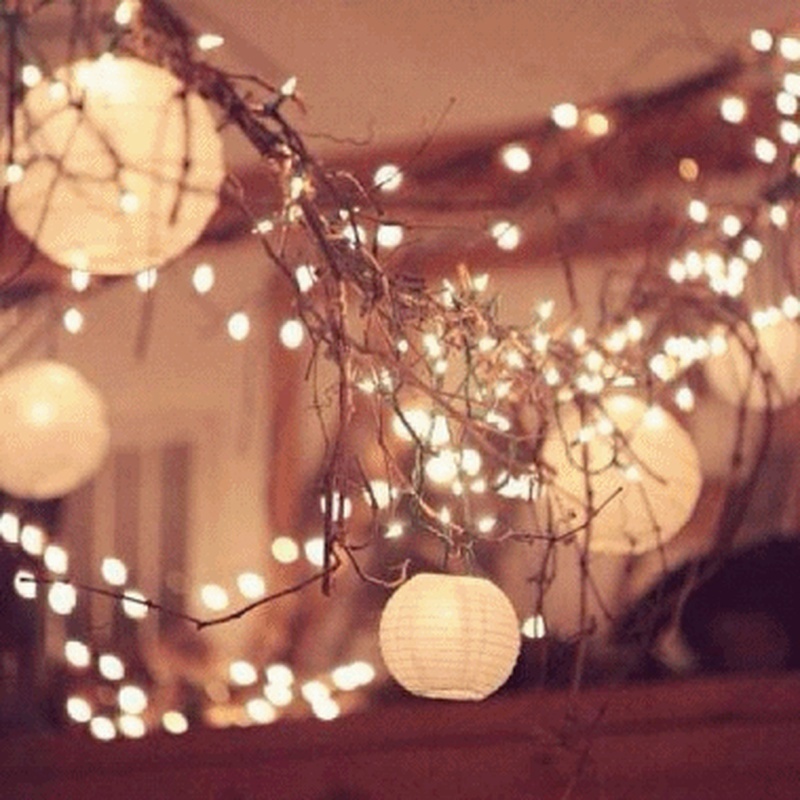 Use string lights, globe lights and bring out those lamps for the party! Nothing rocks a good party like some mood lighting! You can also use candles to enhance the lighting in your party area. You can get fancy disposable plates and other essentials that will only enhance the party decor. If you choose a theme, you could also find disposables that complement it. After all, you will also be tired after the party and you wouldn’t want to spend the next day cleaning up! Well, most guests do have a sweet tooth and it would be nice to end the party on a sweet note! If you are not much into baking, you can mix store-bought cakes with ice cream and syrups or coffee liquer and voila! You have a lip smacking dessert! Even if it’s not your thing, the one thing that can help you a lot is a checklist. On your checklist, make sure you note down all things you need and all the things you have to do. This is a great way to keep a track of things and ensure that everything is in place for the party. Have a separate guest list to make sure you don’t miss anyone. Well, how can it be your party, if you are too busy all the time? It’s important to catch up with your guests and let your hair down once the party has started. Don’t be too harsh on yourself - nobody will notice if the sauce is too thick. The important trick is to keep smiling!